This Spring it’s all about natural shades and light-filled spaces to create that feeling of relaxed luxury. We’ve fallen for calming tones and soft layering that perfectly accent the fresh hues of the Spring sunshine that are beginning to make our days that little bit brighter. Working to a neutral palette means you need to introduce texture into the space to help differentiate the layers and give definition, allowing each element to stand out whilst working cohesively in the room. So, it’s time to swap out those heavy Winter warmers and welcome in Spring with a lighter touch of fresh colour and texture. The emerging, soft colours of nature at Springtime are the inspiration behind out our latest collection and are central to creating this fresh, tranquil look and feel. Our gorgeous, new Aubrey Bed features the texture and natural beauty of weathered oak, tempered by a softly curved, upholstered headboard, which we love. 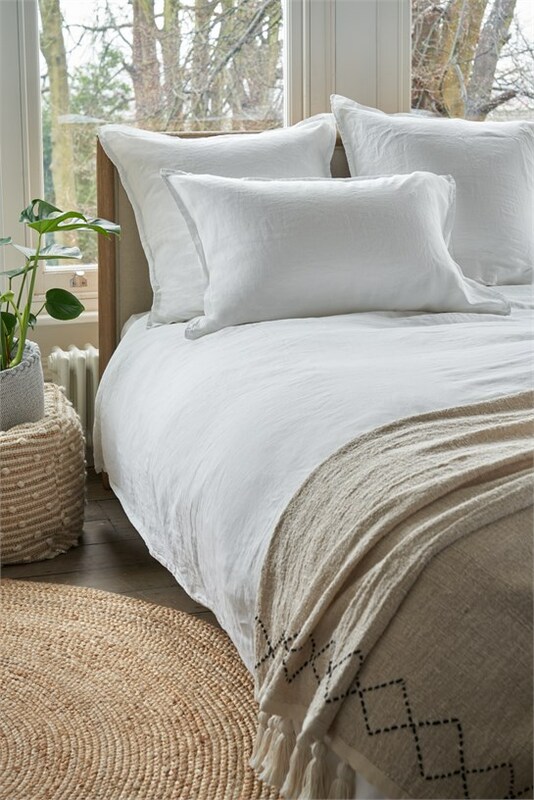 Our luxurious, white Camille Bed Linen has been specially treated to create a naturally relaxed finish to give you that breath of fresh air for your bedroom. 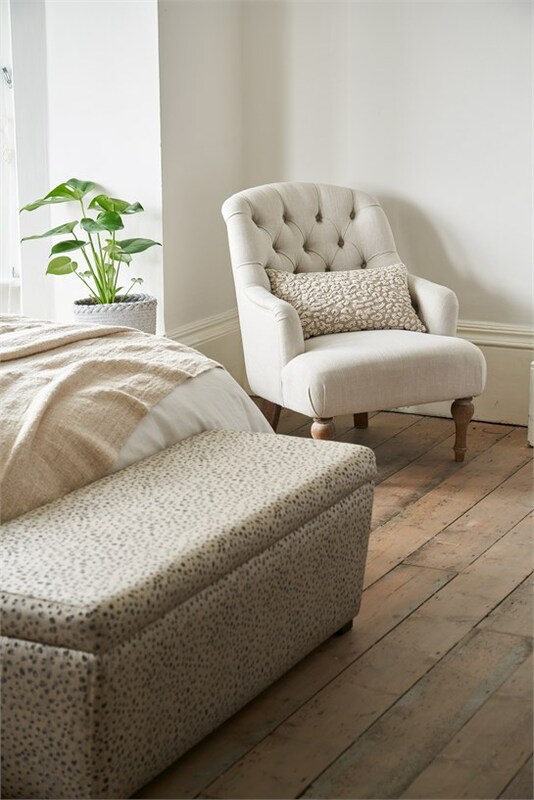 A scattering of our pure linen, Sage Faye Cushions add a pop of colour and will make your bed oh-so inviting. Pop a pot plant or two in the mix and your Spring scene is complete. We love a throw – they’re versatile and there’s one for every season, making them a quick but impactful way to create this season’s look. This Spring it’s all about warm rattan and rustic textures and the Navajo Throw embodies all of this and more. Handmade by our Fairtrade partners in Indonesia, this beautifully simple design is a favourite of ours and a key piece for your bed. Animal print can be an acquired taste, but we are embracing our wild side with a subtle, tasteful nod to the current animal print trend as featured in our Richmond Blanket Box in Leopard Pewter and beautifully embroidered, Leopard Crewel Priya Cushion. We’re great believers in bedrooms not just being places to sleep but being a place to retreat and unwind. For us, a stylish armchair extends the functionality of the room, whist also looking great. With its sophisticated, soft silhouette, deep-buttoned back and weathered oak legs, the Tenby Chair ticks all the boxes. At this time of year there’s a natural instinct to bring the outside in, and furniture that echoes nature in both colour and texture is ideally suited to our Spring look and feel whilst keeping the room feeling cosy. Weathered oak is what it’s all about and is a key design feature to introduce into your Spring bedroom – it softens the overall appearance of larger, wooden furniture. 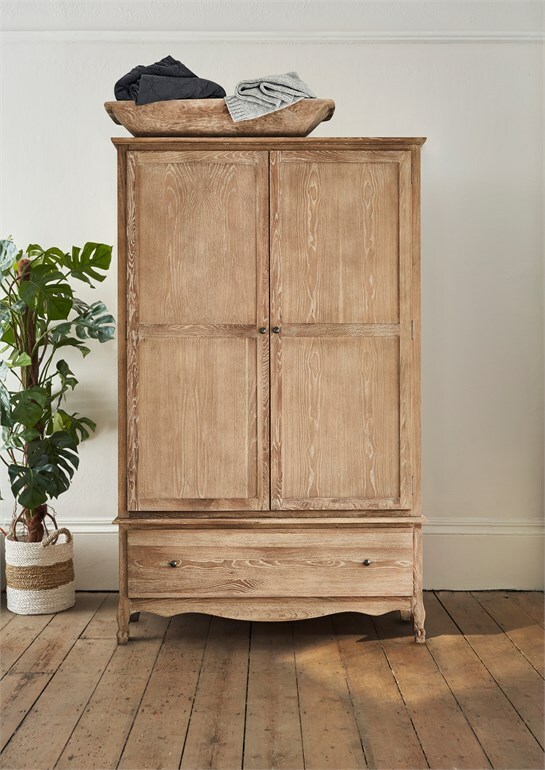 Our stunning Sienna Natural Wardrobe is fresh and on-trend with the French inspired design providing femininity and classic elegance to complete your Spring bedroom.